Sarah Nader - snader@shawmedia.com Shannon Beyer, 10, of McHenry eyes the finished line while waiting to start her race while competing in the 10th annual Kiwanis Soap Box Derby in McHenry on June, 9, 2012. 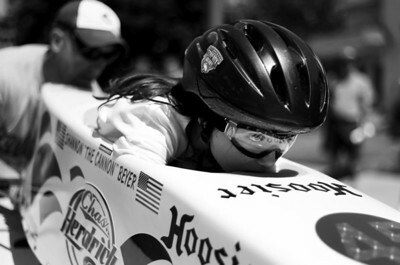 Sarah Nader - snader@shawmedia.com Sydney Murrin competes in the 10th annual Kiwanis Soap Box Derby in McHenry on June, 9, 2012. 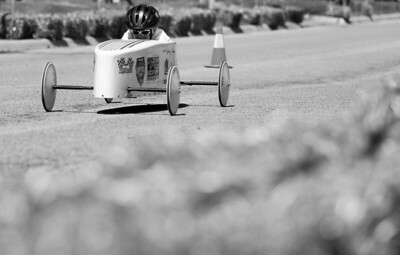 The first-place finisher at the derby qualified for next month's All-American Soap Box Derby in Akron, Ohio. Sarah Nader - snader@shawmedia.com Alton Males, 9, of Woodstock watched contestants zip down the road during the 10th annual Kiwanis Soap Box Derby in McHenry on June, 9, 2012. 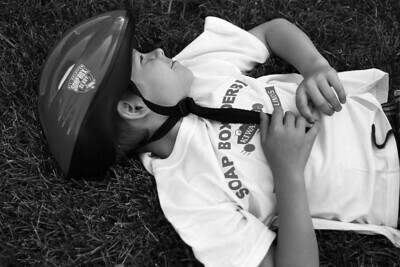 The first-place finisher at the derby qualified for next month's All-American Soap Box Derby in Akron, Ohio. Sarah Nader - snader@shawmedia.com Ethan Kwasigroch, 10, of McHenry takes a break while competing in the 10th annual Kiwanis Soap Box Derby in McHenry on June, 9, 2012. 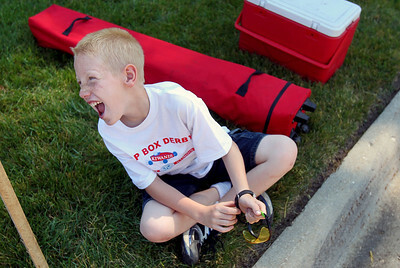 Shannon Beyer, 10, of McHenry eyes the finished line while waiting to start her race while competing in the 10th annual Kiwanis Soap Box Derby in McHenry on June, 9, 2012.